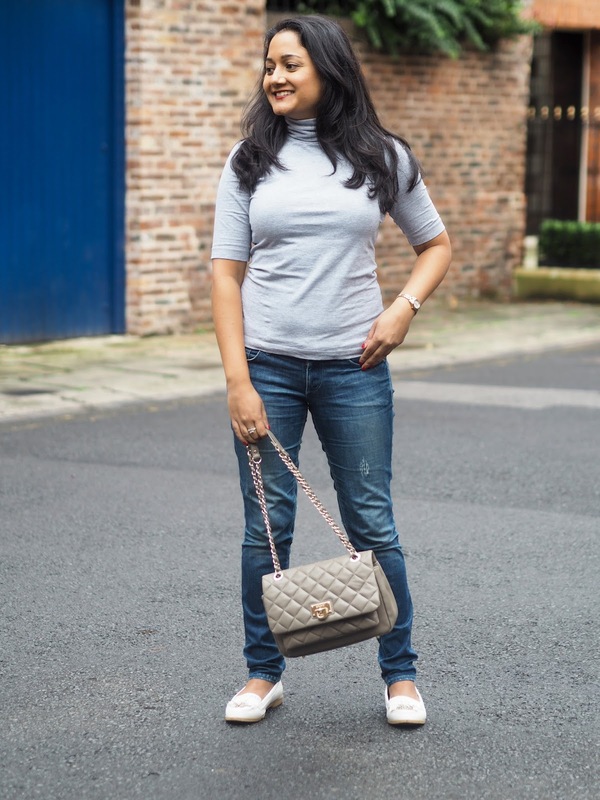 As much as I love the smart look with tailored dresses, high heels and jackets, sometimes there is nothing better than to be in a completely casual outfit with flat shoes. In other words, the off-duty chic look. Many top supermodels such as Niomi Campbell and Gigi Hadid have been seen nailing the off-duty look on multiple occasions, which can consist of anything comfy but still looking fantastic. 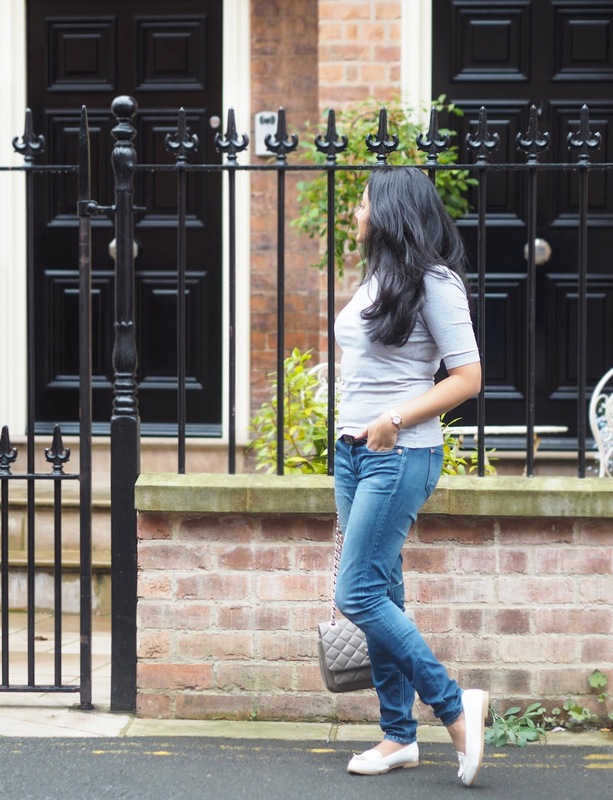 Read on for my top tips when it comes to the off-duty look. Pick your shoes wisely. If you're having a chilled weekend day or doing lots of walking, choose your most comfortable pair of shoes. 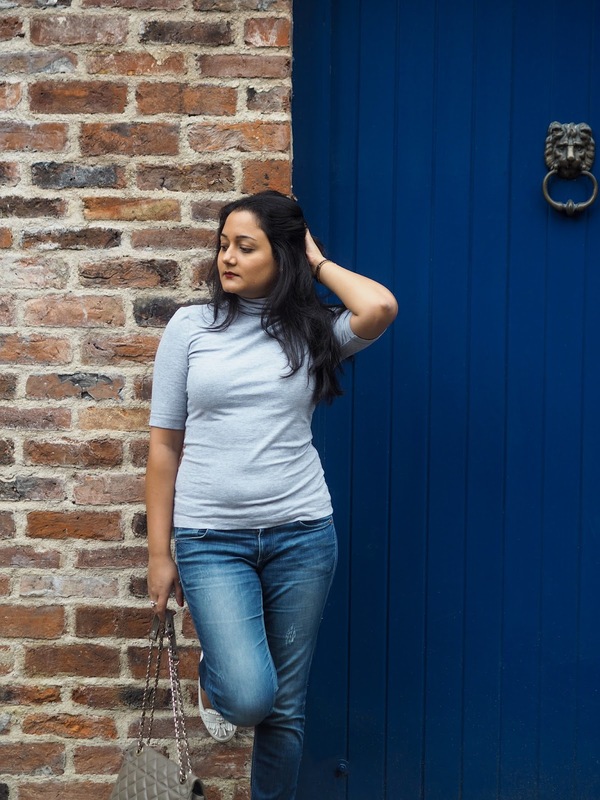 In this outfit, I wore my white flat shoes from New Look as they are really comfortable and ideal for a day out exploring York (as I was doing that day). I find that shoes really determine what kind of outfit you will have, so you can style and match colours afterwards. 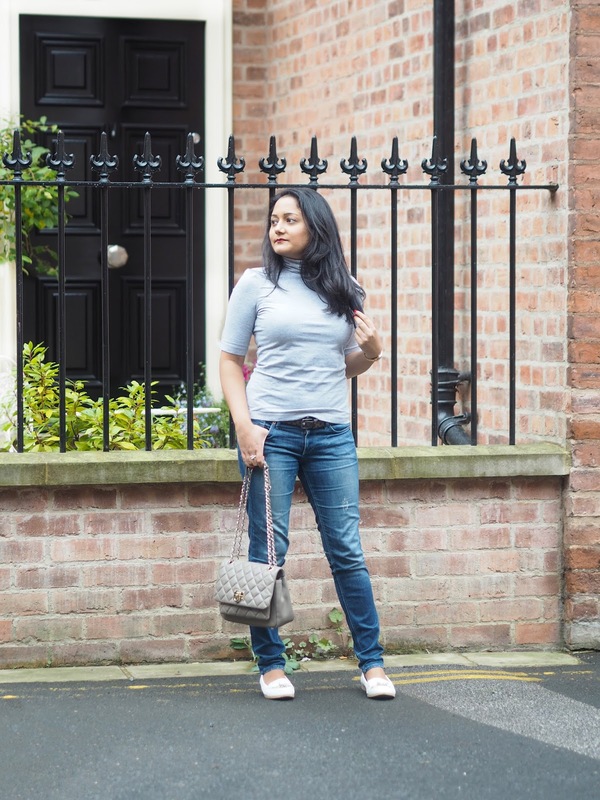 I love the distressed denim that is available to buy and these jeans from H&M are perfect for an off-duty look. 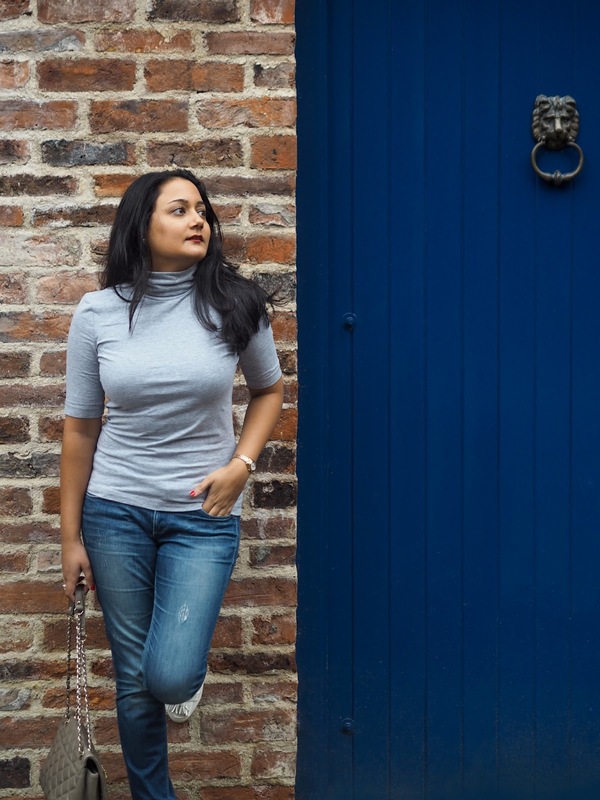 Denim is so versatile and it can be paired with pretty much anything, so invest carefully in your jeans and you'll be able to pull loads of styles off. 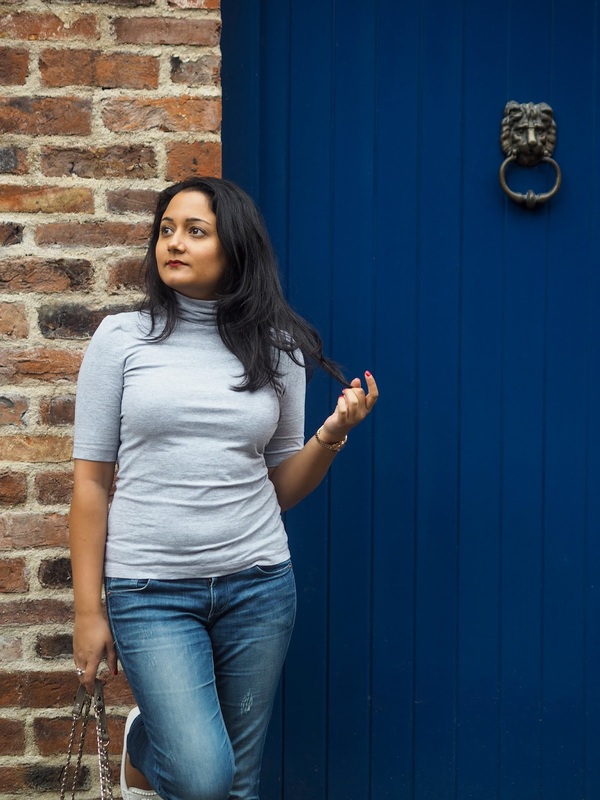 For me, I like to think that off-duty it about keeping it simple so I paired my jeans with this plain grey top from ASOS. It's perfect for this time of year as it has the polo neck to keep you warm but is still a light fabric. I also think the grey top and white shoes look great together. 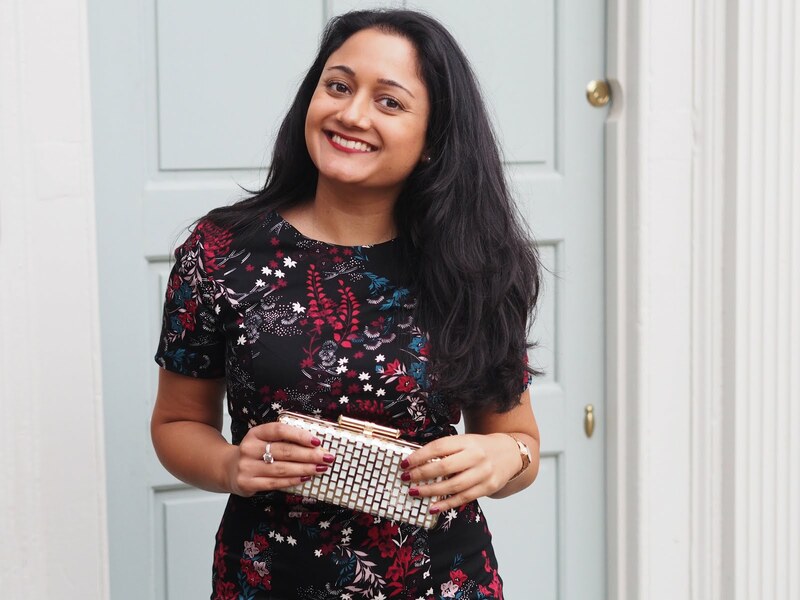 As always, my accessories are key to completing my outfit and my DKNY handbag was perfect to add a hint of glamour to an every day and casual off-duty look. How do you wear your off-duty chic look? Don't very often see you casual. You look fab!